There are currently eight panoramas in the 360 night tour of Paul's Junkyard. This amazing Mojave Desert location has an active metal scrapping business, and also doubles as a storage yard for movie cars, old trucks, buses, farm equipment, and other wonderfully photogenic detritus. 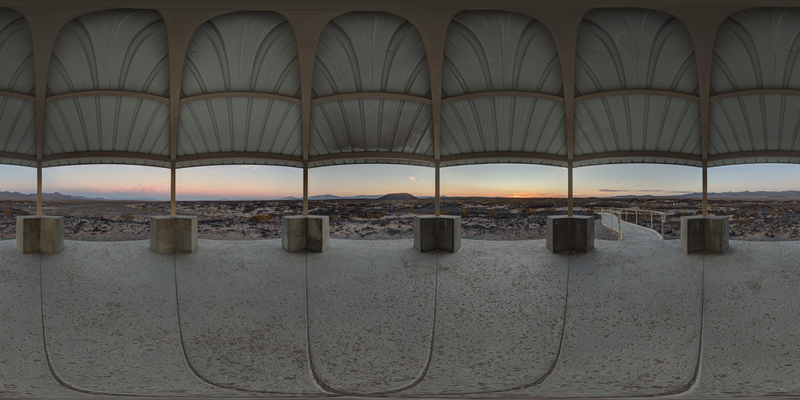 These panoramas were shot during the October 2014 full moon using a Canon EOS 6D with an 8-15mm fisheye lens at 12mm. Most exposures were between 75-90 seconds at f/8, ISO 800. The images were processed in Lightroom, stitched in PTGui and Photoshop, and are displayed using krpano. Enjoy!